The Custard TV: W1A: Why this final series might be the best yet. W1A: Why this final series might be the best yet. Sometimes satirical comedies can feel a little clumsy as they employ a scattershot approach which ultimately doesn't work whilst others succeed at poking fun at the institution that they're spoofing. Thankfully John Morton's BBC satire W1A falls into the latter category and has been praised by many employees of the company for feeling incredibly accurate. I was lucky enough to be invited to New Broadcasting House, where the sitcom is set, to watch the first two episodes of what will be W1A's final series. Whilst it was a surreal experience to watch W1A at the BBC, it was also great to watch the comedy with an audience all of whom seemed to agree that this final run may be the sitcom's best to date. The main thread woven throughout this series of W1A is the fact that the BBC Charter is up for renewal which is leading to several proposed staff cuts. In typical W1A fashion though these staff cuts are being dressed up as the much more palatable 'more of less initiative.' Meanwhile, the former Way Ahead Group have now been renamed The Renewal Group but, despite the change of name, are still encountering several problems. The first main issue they have to deal with is the fact that cross-dressing former professional footballer Ryan Chelford (Ben Batt) is claiming that the BBC denied him a regular pundit spot on Match of the Day due to the preferences in his private life. However, the real reason for his being turned down for the job was that he was too dull for Match of the Day a fact that some in the Renewal Group are baffled by. To rubbish Ryan's claims that it was his cross-dressing that lost him the role, the BBC's Head of Football Clive Cook (Derek Riddell) agrees to give him a one-off punditry spot on a mid-week highlights version of Match of the Day. One of the best elements of the show is how believable it is and the scene in which the main characters try and get out of travelling to Salford to see Ryan's try-out in person feels utterly authentic. The way in which the buck is passed between the characters is brilliantly written with hapless Ian Fletcher (Hugh Bonneville) and his likeable Lucy Freeman (Nina Sonsanya) eventually being lumbered with the task of travelling to Match of the Day. Joining them is the monosyllabic Anna (Sarah Parish) who seemingly has a crush on Ian but, because of her cold manner, feels it hard to express her feelings. The scenes at Match of the Day are brilliantly realised and are enhanced by the presence of Gary Lineker and Alan Shearer who both do an excellent job of playing themselves. However, it's Batt who is the star here as he excels at portraying an awful football pundit whilst caked in make-up and wearing a rather stylish dress. Elsewhere PR guru Siobhan Sharpe (Jessica Hynes) is having to adjust to the fact that her company Perfect Curve has been incorporated by the Dutch conglomeration simply known as Fun. The philosophy at Fun appears to be a regimented routine of glee highlighted by the random silent discos that can occur at a moment's notice. Siobhan and her band of lackeys are also tasked with formulating a welcome gift from Fun to the BBC with predictably awful results. However, Fun's American meta-genius comes up with BBC Me; a You Tube-esque concept where viewers can upload their own content. Unsurprisingly, the idea doesn't go down too well with Ian however it is championed by Tony Hall's right-hand-man Simon Harwood (Jason Watkins) who seemingly green lights the idea. The BBC Me platform then becomes part of the episode's other plot involving the evolution of the cycling chat show 'On Your Bike' an idea that came from Ian's gormless assistant Will Humphries (Hugh Skinner). Will's friend and crush Izzy (Ophelia Lovibond) is insistent that he is credited with the creation of the concept however the idea is soon altered beyond recognition when others at the BBC get their hands on it. Eventually, Anna's assistant Jack (Jonathan Bailey) theorises that it would be the perfect show to be launched on BBC Me with users uploading footage of themselves on bikes. 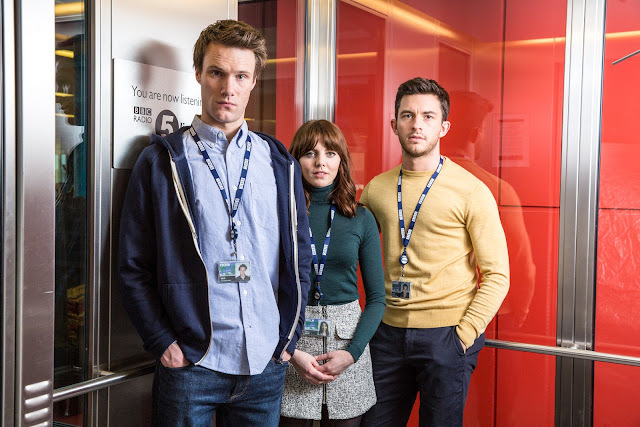 Obviously, this being W1A the idea is championed by the likes of David Wilkes (Rufus Jones) and Matt Taverner (Daniel Ings) who try to spin the complete destruction of Will's original idea in a positive fashion. The BBC Me idea is one that feels incredibly relevant and seems to be a way of spoofing the way that BBC Three has championed short-form content since moving online. The evolution of what was a prime-time chat show to a group of youngsters filming themselves on bikes is both extremely baffling whilst appearing believable at the same time.The brilliance of W1A is the way in which it blurs the lines between fiction and reality; which to me is the success of any great satire. Despite having a large ensemble cast, I find that everyone in W1A gets their chance to shine and Morton must be commended for giving each character their own identity. Whilst Hugh Bonneville anchors the show splendidly I felt that Monica Dolan and David Westhead shone the most during the scenes focusing on the renewal group. Elsewhere, Hugh Skinner was brilliant as ever as the dopey will whilst Rufus Jones was great as the ultra-intrusive David Wilkes. David Tennant also deserves credit for his dry voice-over of the mockumentary and he benefits from being able to deliver some of Morton's best lines. Whilst I'm not going to spoil episode two here, it's fair to say that the quality of this opener continues onto the second instalment where we get the continuation of both the Ryan Chelford story and the evolution of On Your Bike. From the evidence I was given it's clear that W1A has retained its satirical edge whilst at the same time being thoroughly hilarious. The cast work off each other brilliantly and the fast-paced mockumentary style of the show means that no scene outstays its welcome. I'm just a little upset that this is the final series as, from what I've seen, W1A is arguably the BBC funniest comedy that's currently on screen and I'm just wondering if the reason its leaving the screens is because of Morton's ability to spoof the company that's actually in charge of recommissioning his brilliant sitcom. 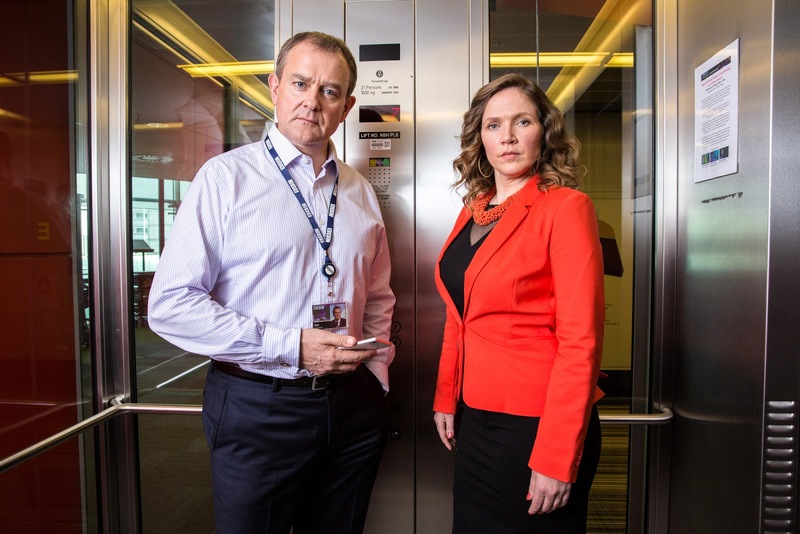 W1A Continues Monday at 10.00pm on BBC TWO. I am a fan of batman movies since I watched the free and downloaded movie box at showboxvpn.com, I saw a new movie world.